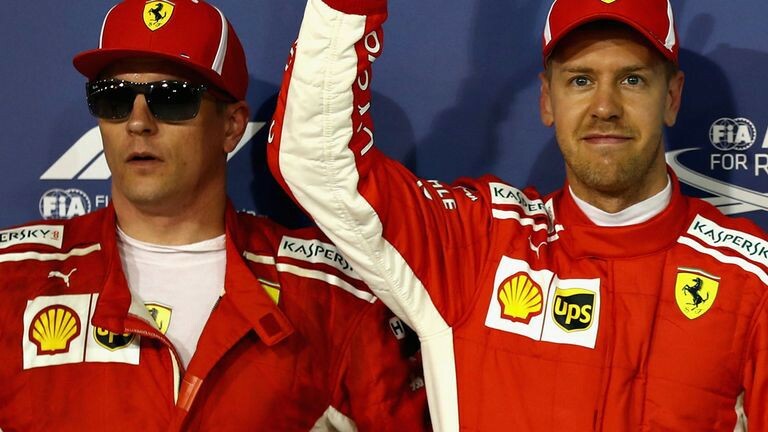 An incredible performance by Sebastian Vettel at the Bahrain F1 Grand Prix has resulted in another win for Ferrari, but it wasn’t as easy as some might have expected. Lewis Hamilton made a spectacular effort and fought his way from 9th position to a finish in 3rd while teammate Bottas put incredible pressure on Vettel and almost cinched the win for himself. The Bahrain F1 Grand Prix really showed how far these amazing cars can be pushed and some truly incredible talent. Vettel started off on pole position and held his prime spot until the 18th lap, in which he pitted in order to replace his tyres. It seemed Ferrari were hoping to stick to a two-pit strategy to make the most of fresh tyres on the tarmac at the Bahrain F1 Grand Prix. By the time Vettel was ready to enter the pit and receive a fresh pair of tyres, Mercedes’ Hamilton had already managed to climb through the ranks and Bottas was hovering around in 2nd position. Kimi, steely as ever, was hot on Bottas’ heels and keeping up the pressure while Vettel utilised his pit stop. Vettel re-entered the race and began his climb back to 1st. Disaster struck for the Ferrari team when Kimi Räikkönen entered the pit for a fresh set of tyres, it seemed there was an issue with the green light and Kimi made a move before the back right tyre was securely attached. Unfortunately, one of the pit crew was caught underneath the tyre as Kimi pulled out. This spelled the end of the race for Kimi and he left the track, we’re assuming to go and find out exactly what went wrong. Meanwhile, Vettel had managed to win back 1st at the Bahrain F1 and Hamilton was pulled into the pit. This ended up with Hamilton quite comfortably set in third place with only a few seconds between Bottas and Vettel in the final 10 laps. Vettel, who had been forced into a one-pit race instead of their original two-pit strategy, was racing on well-worn tyres with Bottas gaining time on him with almost every turn. In the final two laps, Bottas almost managed to overtake Vettel with the use of the DRS but, in the end, he wasn’t able to get the angle right and Vettel crossed the finish line in first. If you’re missing out on all of the fun from the F1, then you should be looking into the new way of streaming Formula One with F1 TV. How Will Tiger Woods Perform At The Masters?